This modern building is the fifth courthouse to served Darlington County residents. The first was built shortly after the founding of the county in 1785 and stood until a fire destroyed it on March 19, 1806. 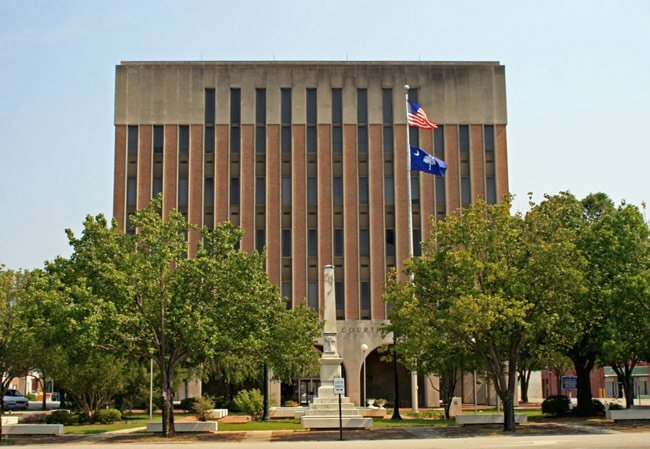 A second courthouse replaced it, thought to have been built by renowned South Carolina architect Robert Mills. Mills is responsible for many historic courthouses around the state. In 1866 the second courthouse also burned, prompting a new one to be constructed in its place in 1873. 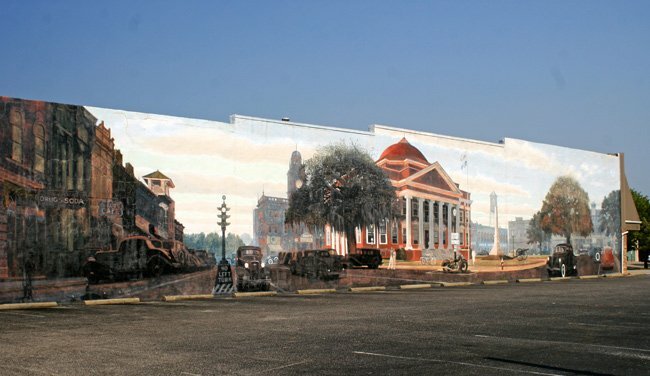 In 1904 it was supplanted by the beloved domed courthouse depicted on the downtown mural by Columbia artist Blue Sky entitled Old Darlington Public Square, seen below. The Beaux Arts courthouse was in use until the new one, shown above, was constructed on the square in 1964.